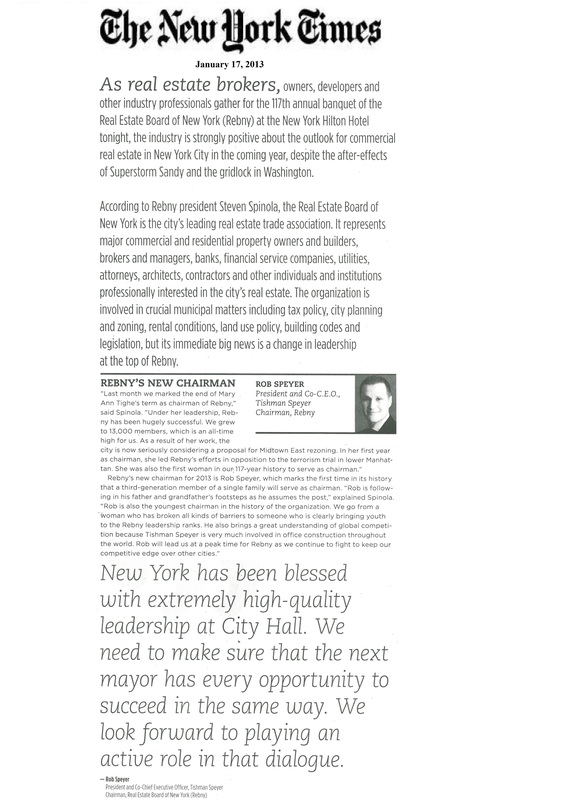 In a January 17, 2013 special section in the New York Times, REBNY Chairman Rob Speyer praised recent New York City mayors and pledged that REBNY would do its part to help ensure the next mayor’s success. To read more, please see the article below. More about Rob Speyer from the New York Times.